I thought it would be appropriate to write something in celebration of my one year anniversary playing on DealDash. I’ve learned so much during this time while winning and/or losing several thousand auctions, and thought I would share some quick tips that might help the newbie-so here goes! Everyone has their own ideas of what it takes to win, but have you given some thought to losing? I’d like to give you some common sense advise…only play with what you can afford to lose or purchase. I say this because I’ve seen so many newbies that really don’t understand how the auction site works and they just keep clicking the bid button, only to waste bids and lose the auction. Be patient…and if you wait I promise you DealDash will have the same auction again, and if not, I’m sure you will find a better item to bid on next time! (1) Play the game your way…I always do this no matter what others do. (3) When you play, play for items you really want or need and if you lose the auction, be prepared to purchase it. This is a win win for you too. (4) Since DealDash gives you free bids for posting pictures of your wins (somethings are not included so make sure you read and find out what to post) use those bids to play foolishly. This way, if you don’t win and can’t buy the item you haven’t used your own money. (5) Let the clock run down so that you and everyone can earn those free bids. (6) Purchase bids when you see them on sale so you always have some on hand when you find something you would like to bid on. This saves you money too! (7) Enjoy the auctions, read the blogs to see what and how others play, and develop your own strategy! Enough said for today, but I’ll keep you posted with any updates I have. Wishing each of you successful bidding in 2014. This entry was posted in Bidding Tips, Home and tagged Auctions, DealDash, Tips, Tips for Playing on DealDash on December 31, 2013 by . 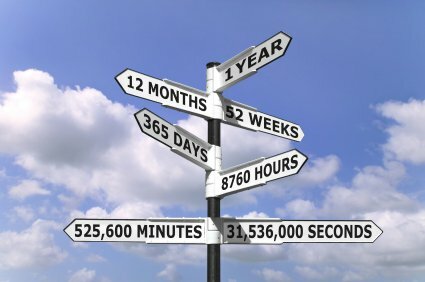 Perhaps the first time you shop online it takes you a bit more time because you’ve never done it before. With a little practice and discovering how quick, easy and painless it is, you’ll be making that special purchase for that special someone in less time than it takes you to pull out of the driveway. Avoid the high pollution days and stay home but still get your shopping done. Don’t let the stress of traffic and air pollution trigger your bodies emotional or physical balance. Often times shopping online will lead to the discovery of new items you weren’t even aware existed. Maybe one that is even better suited for your needs. Support yourself and stay strong with the extra time on your hands by eating a healthy home cooked meal instead of giving into the allure of fast food joints when you’re out and about shopping at the mall. Shopping online makes gift giving quick and easy without the hassle of packing and taking the extra trip to the post office. Take the extra time to relax and treat yourself during the holiday season. Many times you will find special discounts for the same item somewhere else. Shopping online makes it easy to compare prices. 7. Super Easy To Do. All you need is a computer or mobile device like a smart phone or tablet to visit your favorite online shopping sites like DealDash.com. You’re likely in a more controlled environment at home with less distraction from all the people, noise, sales people, etc. which potentially may make your choices easier. Online shopping is super convenient! Delivery to your door step, ability to quickly find the best prices available, and discover new and interesting items are just a few perks to shopping online. With new technology we’ll begin to see even more efficient ways of delivering packages to your front door. See this video of Amazon Testing Drone Delivery. This entry was posted in Home, Video and tagged amazon drone delivery, benefits of shopping online, dealdash.com, online shopping on December 20, 2013 by . As Christmas fast approaches, a lot of bidders are competing for the items you want to see UPS dropping off at YOUR doorstep this season. But, the simple truth is “You can’t win em all” as the saying goes. I recently was bidding on DealDash for a computer that I would have loved to win as a Christmas gift for my son. I had been bidding with three other bidders for hours and finally it was down to three of us. The other two had been in even longer than I had and were more invested. I then made the decision to drop out of the competition, conceding the auction to the other two….or so I had hoped since they had been there from the beginning and had a lot of bids invested. In the morning, I checked my dashboard to see which of the two had won the auction and sadly, it was neither of them. A completely different bidder came in late and took it for 1/4 the bids that the others had bid for the item. I was very sad because that is what often happens when no one wants to concede! I have let my opponent take an auction when I realize how determined they are to win. I would rather a worthy bidder who invested the time, money and bids in the auction have the win than to let a late entry who comes in to “steal” it win. I realize it is perfectly legal and legitimate to come into an auction late and try to win the item. It is just not what I think of as “ethical” so I would rather concede the auction to someone who truly invested in it when I am at my limit for the bids I wanted to invest. Now, I don’t mean that you can’t enter an auction late. It is something we all have done when the competition thins out, but when I see two bidders going at it for a long time, and it is very late in the auction (close to retail for example) I will NOT go in there to try and steal it because I think it is unfair to the two who have invested so much in and it drives up prices as well because a determined bidder will keep going anyway as they already invested a lot of money in that item. 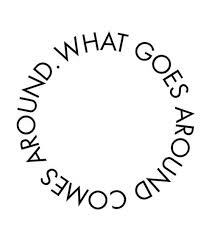 I believe in karma and when I am ethical, it comes back to me. You should try it. That is when every one ends up with a piece of the pie and gets bargains. Concede to a fellow bidder once in a while BEFORE someone comes in to steal it for a few bids. It feels good and keeps prices down. Would you not rather a worthy opponent win it who has a lot invested rather than that late jumper? I would. And, people DO notice when you are fair and ethical! 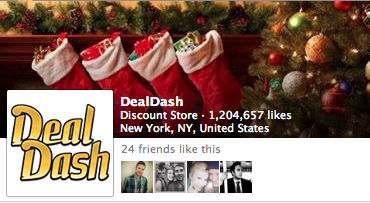 Happy Holidays and Happy bidding on DealDash.com! This entry was posted in Bidding Tips, Home on December 16, 2013 by . Deal Dash has a rule called “No Jumper” and what that means is that no one can enter a bid after the item reaches the $5.00 mark (or sometimes they run specials where it is $1.00 or $2.00 etc.) thus ensuring only those who were there in the beginning can bid on the item. This is a great rule as it would be a shame if people had invested hundreds of dollars in bids and then someone comes in at the last moment to win who may not have been even a registered bidder when the item came up for auction! 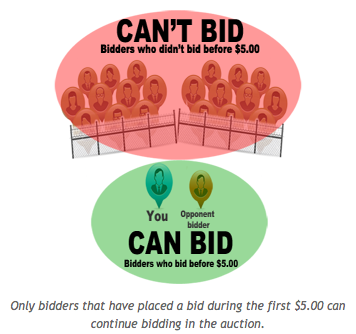 It is still a little bit tricky because you can place only one bid before the 5.00 mark and then come in late anyway, but at least it limits the number of bidders in the pool who can bid on the item to those who placed at least one bid during the first few minutes of auction. Happy Bidding and remember, you have to place a bid early to get in on the action! This entry was posted in Home on December 13, 2013 by . Did you know you can earn free bids on www.DealDash.com in several ways? Being a price conscious person who buys on sale, with coupons and any other discounts I can tack on, I always look for ways to maximize my out of pocket. That’s why I love DealDash’s options of getting free bids. The first way is to let the clock run while in an auction. The longer you are the top bidder, the more time you accumulate and that eventually gets you a predetermined amount of free bids added to your existing bids. No purchase necessary! That is why it’s important that you also allow your fellow bidders their high bidder time. Can’t beat that ! When you collect time as highest bidder, the meter bar fills up. When it is fully green, it activates a claim free bids button! Next, you can post pictures of you with your won item on DealDash’s Facebook page. And once every week, DealDash picks their Facebook photo of the week. The winning photo is awarded a $500.00 gift card at your choice of places !! Just for posting a picture ! Having been the lucky recipient of this gift card, I know what an awesome surprise it was. I chose a Target gift card, which came promptly ! I used it to buy that elusive iPad I had been trying to win. The final way of earning free bids is to post a picture to your Pinterest profile of you with your winning item. You will get 50 bids added to your account ! Have you ever been on any other penny auction site that rewards you for being their customer? Don’t think so ! If you need help doing this, DealDash has all the instructions on their site to help you post your winning photos and get rewarded ! Good Luck DealDashers !! This entry was posted in Home on December 12, 2013 by .